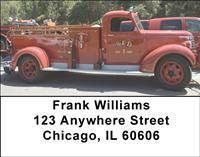 Firefighting has changed through the years, but there's nothing like the sight of beautiful, antique firetrucks. True works of both art and history, these vehicles have seen lots of changes during their heroic time. If you have a love for fire engines of the past, then these striking photos will be the checks for you.